No more basic lip balm. Our exclusive formula moisturizes lips for a full 8 hours. Lips are renewed after 1 week. I am a lip balm freak. You all know that, right? Although I have worked over this addiction of mine over the past few months. Truly a proud moment here! 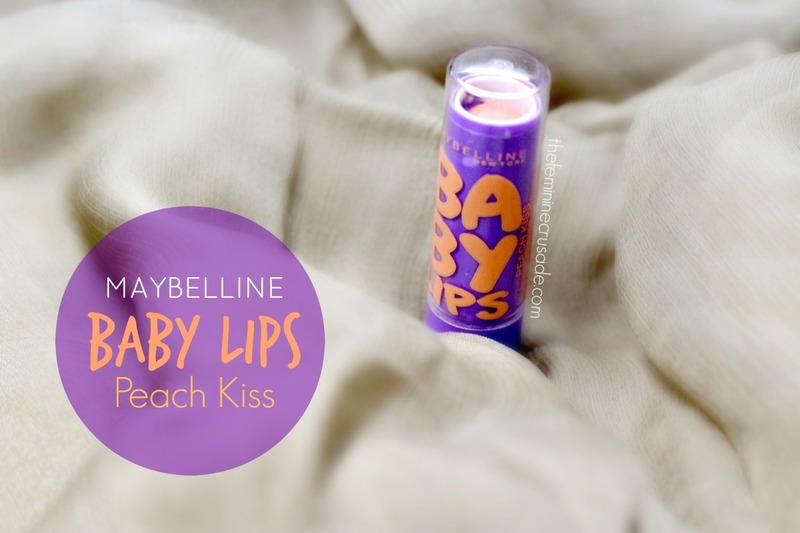 Anyways, when Maybelline Baby Lips first came I was drawn to this adorable tube, just because it was cute. I know it wasn't going to be that lip balm that renewed my lips. That is why for a long, long time I never gave in to my temptation. Until one fine day, it just sat there at my favourite drugstore counter beckoning me slyly. It was only 3 bucks and I thought why not. 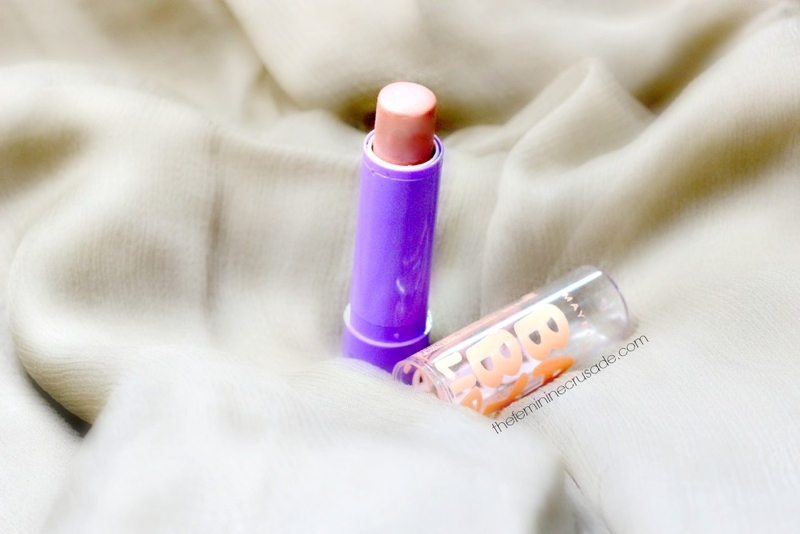 I went ahead and picked the most transparent of the shades available, Peach Kiss. Peach Kiss has a very faint hint of peach to it, barely noticeable with farely noticeable silver shimmer. I absolutely had no idea about the shimmer and do not like it. Although, it truly is in my head, the shimmer does not show much. As a lip balm, Baby Lips is average. It doesn't give new life to my lips, like my ultimate fave Carmex Classic Lip Balm nor does it make my already dried lips waxy, like the dreadful EOS Lip Balm. It is a good enough thing to keep as a backup if you run out of your better option. It does stay on your lips for an hour or two and does a good job of moisturising for the beginning hour. I have lip balms that do better job than this but this one is quite cheap and nice to have in my collection.